New Year’s Resolutions. Worn-out cliché? Maybe, but that doesn’t stop me from making them. As December fades into January, I welcome the excuse to look ahead at the coming year and set some professional and personal intentions for the next 12 months. At our recent firm retreat to Big White, the team came together for an après-ski goal-setting session that focused on both individual and collective goals. A key theme for the firm as whole? Providing value to our clients. Inspired by the efforts and ideas of other Canadian legal trailblazers, KEL has identified two particular practice innovations that we plan to explore further in 2019. Read on to find out more. A few months ago, I was fortunate enough to spend some time with Ryan Hillier, CEO of Canada’s second B Corp law firm, NOVAlex, when he was in Vancouver. We had a fascinating, frank talk about the highs and lows of running a law firm and the challenges of making legal services more widely accessible. One topic we discussed in particular was how to offer pro bono services in a way that benefits both client and lawyer. Ryan’s firm has adopted a very creative solution to the widespread “access to justice” problem in Canada: the NOVAlex legal clinic. Self-described as a “social economy initiative for the legal profession”, this clinic is a non-profit which offers, through the firm, pro bono services to eligible low-income individuals, other non-profits, and start-ups who meet certain financial criteria. The clinic services are provided by a junior lawyer who is supported in his or her work by more senior members of the firm when necessary. NOVAlex’s commitment to providing meaningful pro bono support impressed me – and has motivated me to examine how we might do something similar here. 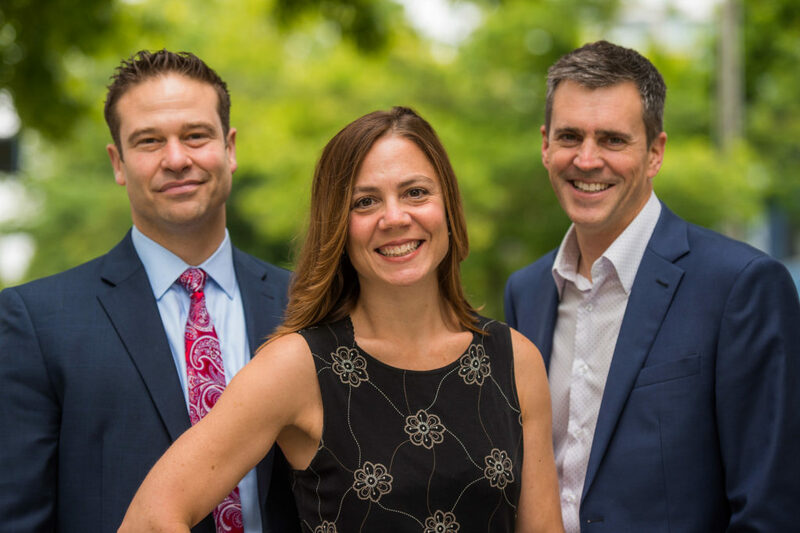 My other (ongoing) source of inspiration when it comes to legal innovation is the podcast out of Toronto from lawyers Peter Aprile and Natalie Worsfold called Building NewLaw. In their season 3 episode “How hourly billing is hurting your people and profit”, Peter and Natalie speak to John Chisholm, a former lawyer from Australia who is now a consultant to the legal profession on “strategy, structure and pricing”. Value-based pricing should replace the billable hour fee model. In other words, lawyers should price their services upfront based on the value we are providing to our clients. o It offers predictability and certainty. For many clients, seeking legal advice can already cause stress and anxiety – not knowing how much that advice is going to cost until they get their bill tends to increase that discomfort. o It is more transparent. A business model where the client/customer has to wait until she receives an invoice to decide whether she received value for her money is inherently flawed – and almost unique to the legal provision. o It eliminates “bill shock” when the invoice goes out. o It focuses on achieving a mutually positive outcome for both lawyer and client. o It focuses on inputs and activities (by the lawyer) rather than outcomes and results. o It creates a “production” mentality and takes away any incentive for the lawyer to work efficiently. In Chisholm’s word, the billable hour model “rewards the slowest horse in the race” (i.e. the longer a lawyer takes to complete a task, the more money she makes). o It creates an ethical dilemma for lawyers who must meet billable hour targets set by their firm: Do I do right by my client (by working as few hours as possible to get the job done) or by my firm (by working as many hours as possible to meet my target and increase revenues)? o It demeans the value of a lawyer’s work. Tasks are recorded and billed in 6 minute increments but not every 6 minutes is equal (e.g. reading an email vs. providing a client advice that could save them thousands of dollars). I agree wholeheartedly with Chisholm that the billable hour model restricts creativity and innovation and promotes inefficiencies. More importantly, neither lawyers nor clients are happy with the model. So why do we stick with it? Fear, risk-aversion, inertia. I for one am ready to face that fear, take that risk, and move forward.